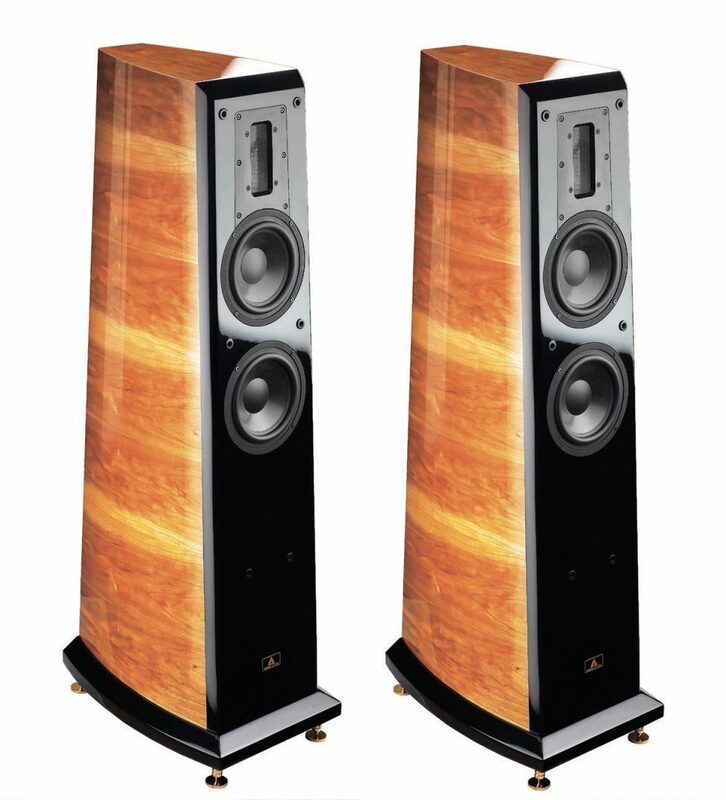 The Aurum Cantus V6F is a top-tier loudspeaker with gorgeous looks and a sound that suits anything from jazz to classical. Available in a Rosewood finish. Tweeter: G3N. Purified aluminum ribbon tweeter, the size of aluminum ribbon (LWT):110mm×14.5mm×0.01mm. High power handling, high output, shielded design, easily field-replaceable for the ribbon. Woofer: AC165AVM/50CK, 1×165mm (6.5″). Aluminum frame, the compositecone of Non-woven carbon fiber and Kevlar, 50mm (2″) copper clad aluminum voice coil with flat wire, the special magnet system with Faraday ring and demodulation coil, 120mm×20mm Y30 Ferrite magnet. Crossover Components: M-Cap Supreme MKP capacitors and Jantzen MKP capacitors are used for crossover of tweeter, Aurum Cantus MKP capacitors and nonpolarity electrolytic capacitorsare used for the crossover of midwoofer and woofer. Also, high purified OFC inductors and the metal oxide film resistors with military industrial standard. Finish: The standard finish is RosewoodPE high gloss paint. Furthermore, there are alsoFigured maple PE high gloss paint, Cherry PE high gloss paint and the Black PE high gloss paint for options.